In the angelic realm there are harps of Gold. Yet the message of love is simple and plain. With harps of Gold they sing the Heavenly song. Holy, Holy, Holy is the never-ending praise. The harps of Gold penetrate our souls, our spirits they raise. Harps of Gold reverberate through all time and space. The music is endless and permeates all worlds and races. The animals themselves can tune into the cosmic sound. Happiness and Tranquility will always be found. 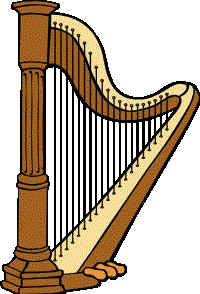 Harps of Gold are God’s spoken word. It is God’s word, which is divinely orchestrated. Celestial notes and an eternity of cosmic vibration. Gently descends on earth and all creation.